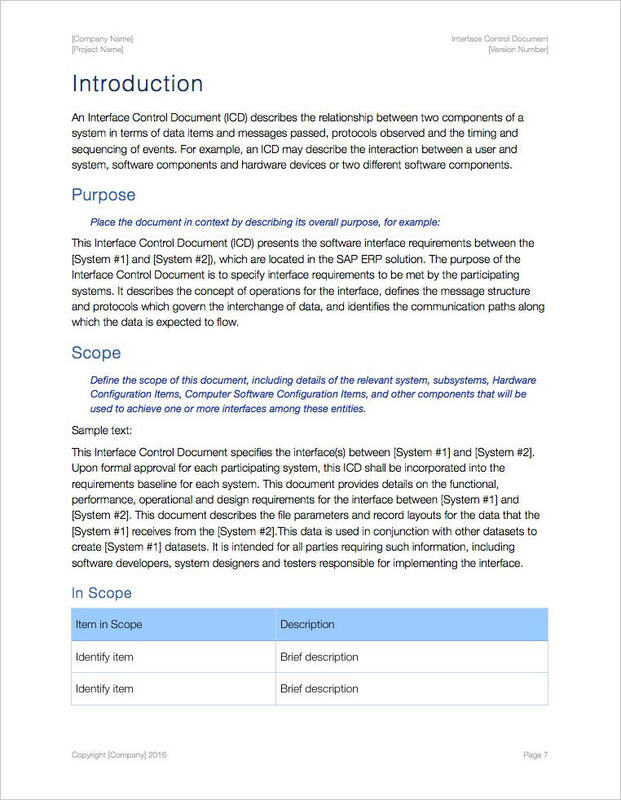 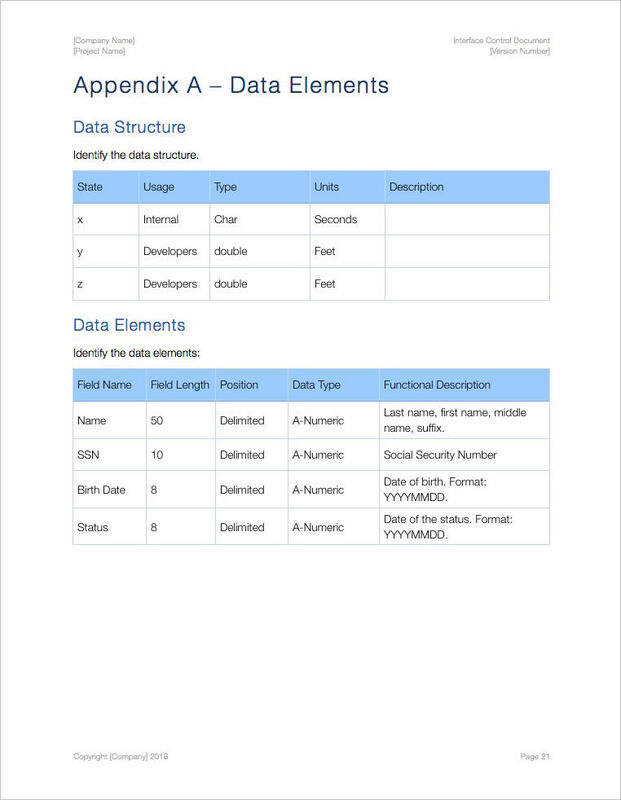 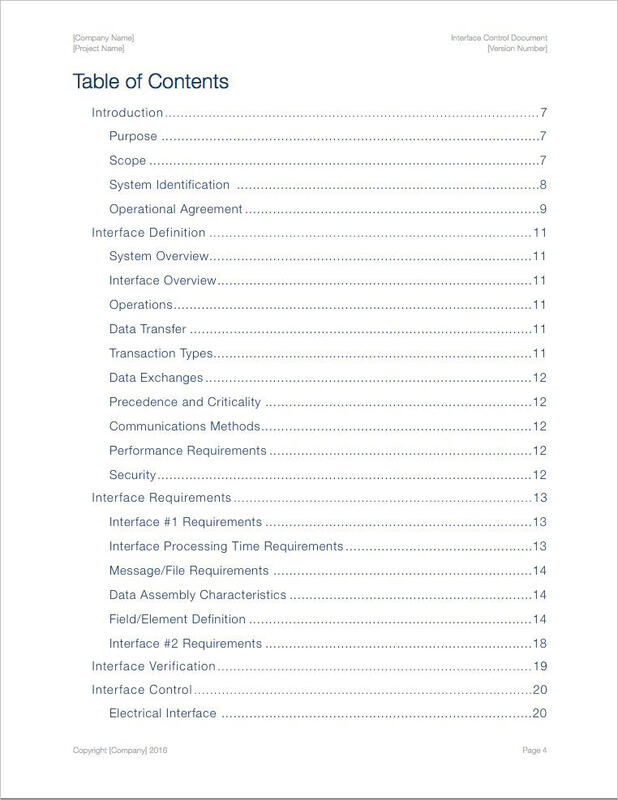 Use this Interface Control Document template (iWork Pages 17 pgs) to describe the relationship between system components in terms of data items and messages passed, protocols observed and timing and sequencing of events. 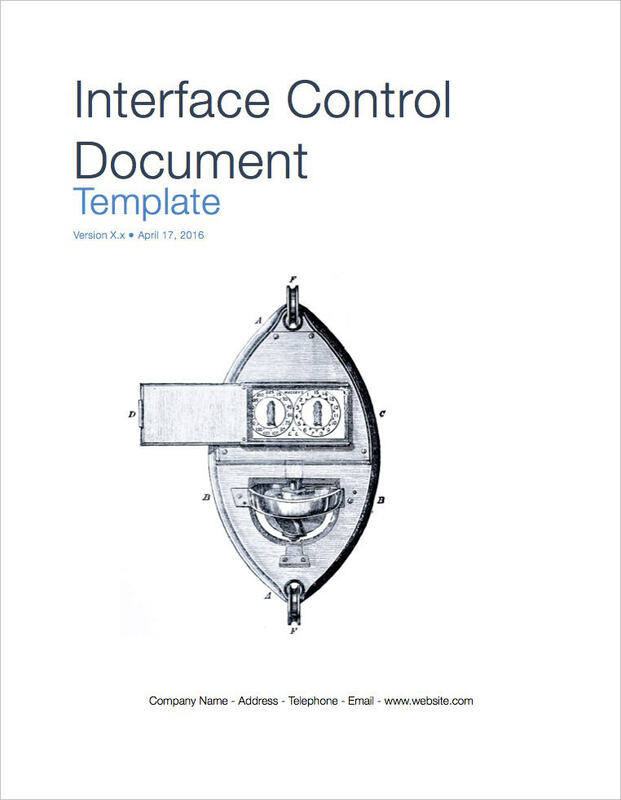 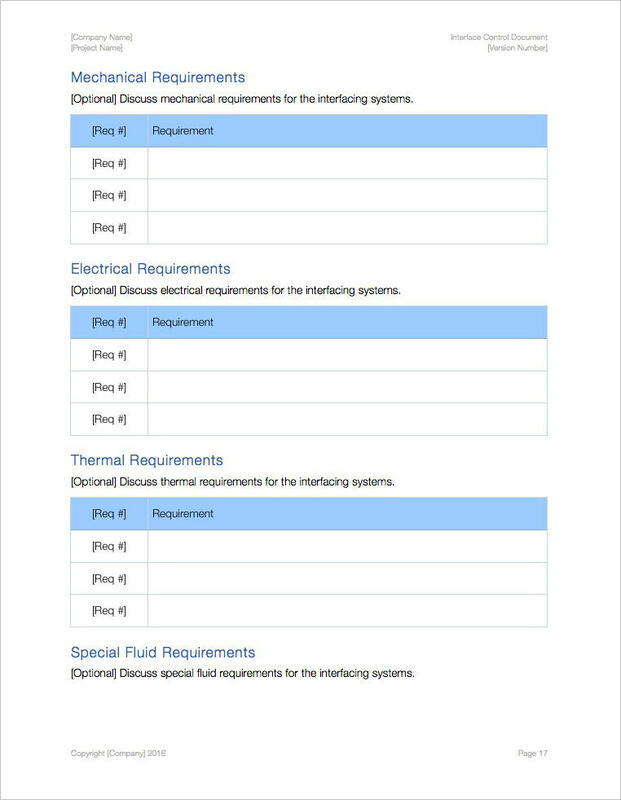 Interface Control Documents (ICD) are a key element of systems engineering as they define and control the interface(s) of a system, and thereby bound its requirements. 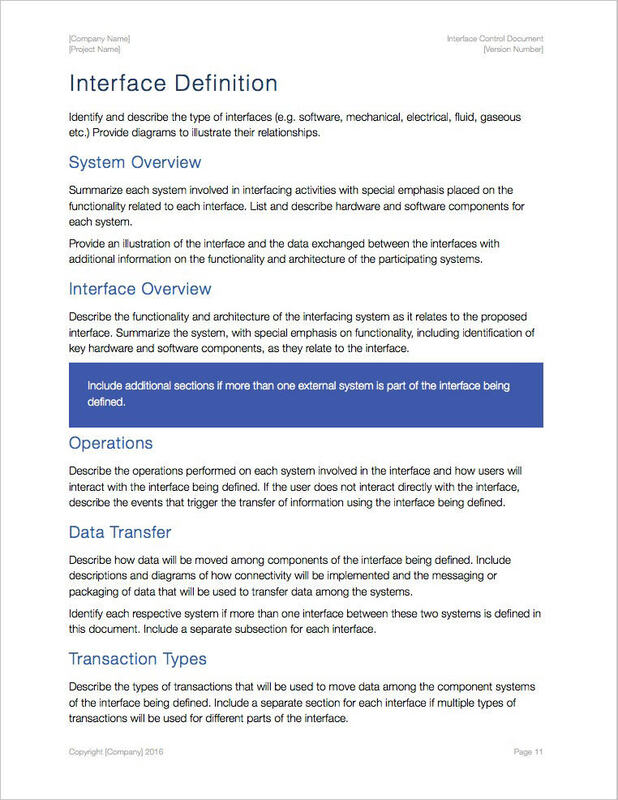 Describe the interface to a system or subsystem. 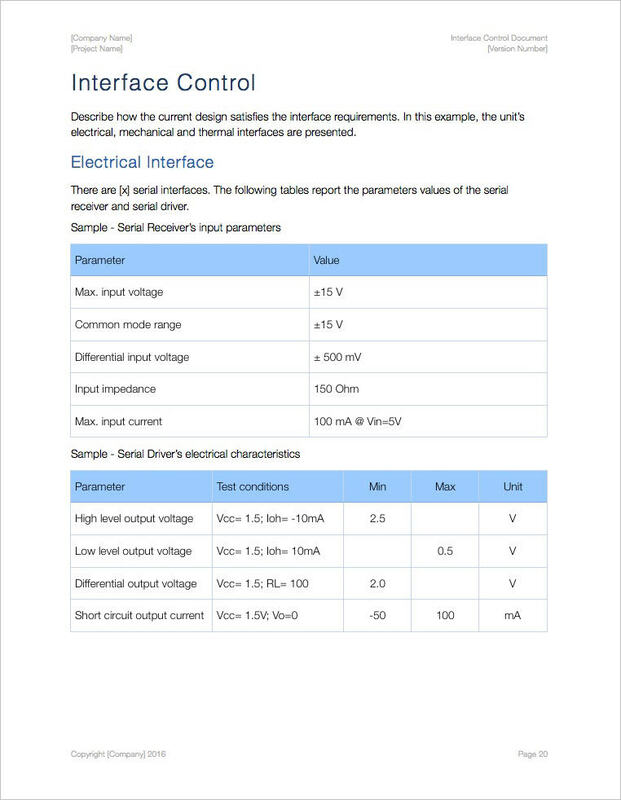 Describe the inputs and outputs of a single system, the interface between two systems, the interface protocol from the lowest physical elements to the highest logical levels. 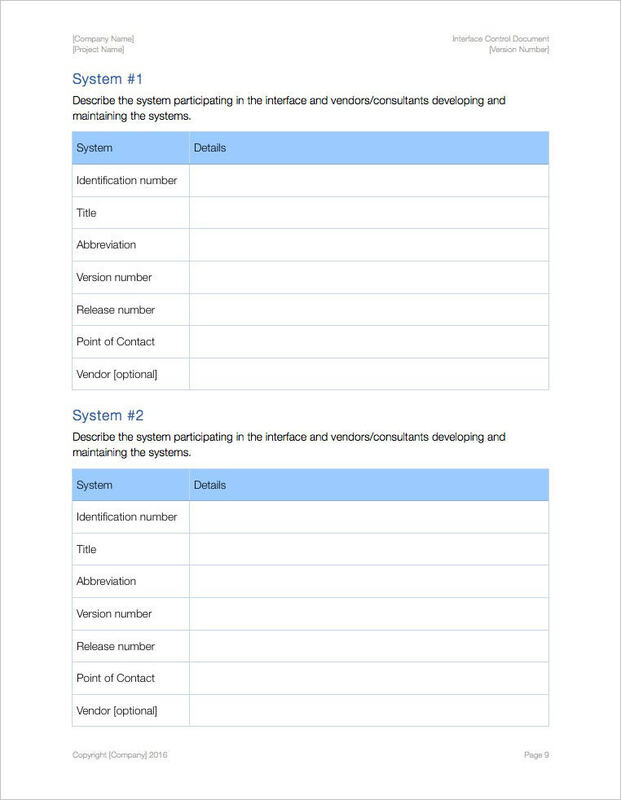 Describe how to access the functions and services provided by a system via an interface. 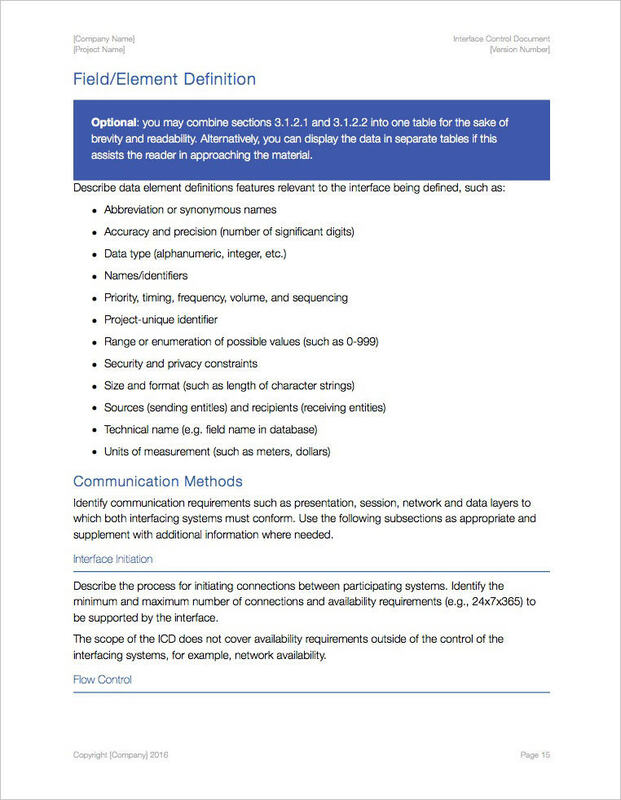 Include information about the size, format, and data. 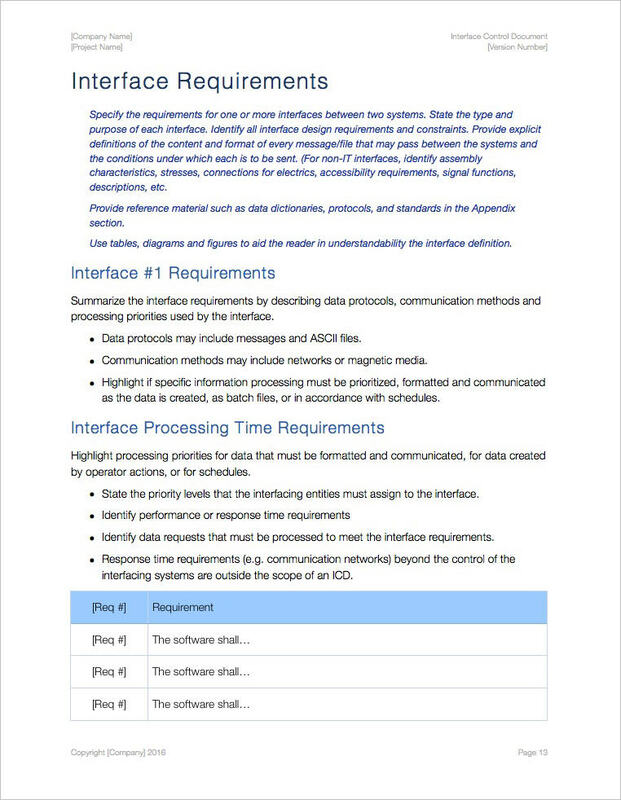 Provide a structured way to communicate information about subsystems interfaces between different design teams.